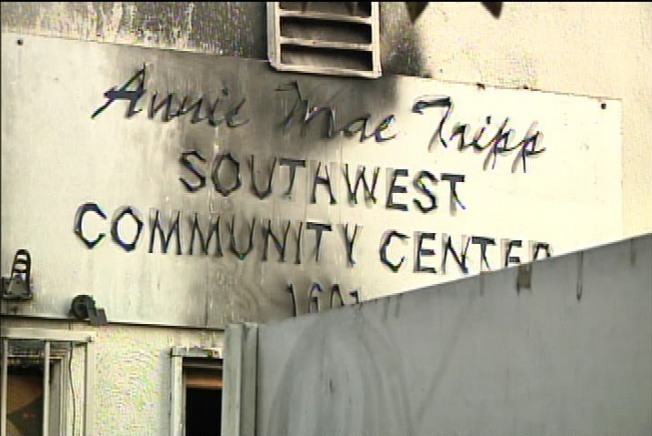 Fire has severely damaged an Orange County soup kitchen that serves more than 100 people every day -- providing thousands of meals a month. Community Center and Hospitality Kitchen. It burned food and clothing before firefighters doused it shortly after 12:30 this morning. The kitchen is named for a mother of seven who began feeding the homeless out of her garage in 1970. Her grand-daughter, Connie Jones, has been director of the soup kitchen for more than thirty years. She says the loss is devastating, especially at this time of year. "They think the fire started on the patio where things are stored for our 'Adpot a Family' program that starts this Saturday, where things were for Santa Claus. We had a party scheduled for about 800 kids, " Jones said. Forty-one firefighters managed to knock down the fire in about half an hour. They are still trying to determine how it started. Caswell says anyone who wants to reach out and help the center can do so by contacting staff members through the kitchen's website.